ABHINANDAN 2019 the IES mega cultural fiesta is round the corner. Planning and preparations to give the best to our budding talents is progressing at its expected pace. The event will be organized for two days. We have our events on 25th April 2019 starting at 8 am and ending around 6 pm. At the same time it is our great pride and pleasure to introduce two of our former teachers who are excelling in their life now as our CHIEF GUESTS for this function. 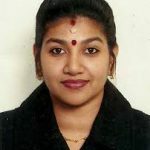 Dr. Meera Rajeev Kumar is an Associate Professor in the Dept. of Public Administration at Madras Christian College, Chennai. An enthusiast to the core, Dr. Meera has delved deep into variegated topics of public interest. She is currently the member of International Political Association, Board of Examiners, Tamil Nadu Open University, and the Board of Examiners, Periyar University. Dancing is her passion, and has got National Integration Award for the best bharathanatyam dance artiste. She is the founder director of Shankara Narayana Nrithyalaya, Maraimalainagar. Mrs. Nithya Balagopal is the second celebrity, the other Chief Guest for the day. Mrs. Nithya is a well-known Malayalam playback singer who has sung many popular numbers for various movies in Malayalam as well as Tamil. She has to her credit a number of video albums and covers as well. 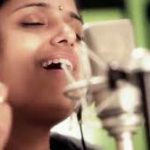 Mrs. Nithya deems it her luck that she has got chances to sing with S P Balasubrahmaniyam, K S Chithra and P Jayachandran. She is co-producing a movie with her husband. She is residing currently in the UAE. Please be kind enough to accept this as an open invitation to our kids, and encourage them to take part in maximum events and enjoy. Our teachers will identify the talented kids during the shows, and prepare the lists of probable candidates for all our inter-school competitions to be held in 2019-20. Thus it is the right opportunity for your ward to be a part of the school teams. Kindly log in to you e mail id to find details of the events and the rubrics. Participating and winning the contests will fetch them points that will be counted when we decide the all-rounder awards at the end of the academic year. No child should miss this golden chance to perform and derive the happiness out of it as this comes once in an academic year. This year there will be NO TALENT shows as this is the time to showcase the talent your ward has.